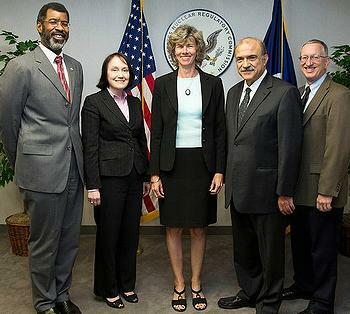 WASHINGTON, DC, July 12, 2012 (ENS) – The same “man-made” problems underlying last year’s nuclear disaster in Japan exist today in the United States, warn five U.S. groups responding to the Fukushima Nuclear Accident Independent Investigation Commission’s report to Japan’s Diet, or parliament. “Our report catalogues a multitude of errors and willful negligence that left the Fukushima plant unprepared for the events of March 11. And it examines serious deficiencies in the response to the accident by TEPCO, regulators and the government,” wrote Dr. Kurokawa in his introduction to the executive summary of the Commission’s report, released July 5. 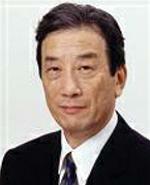 Yet, he wrote, it is the “mindset” of Japanese society that is really the cause of the disaster. Back in the United States, the five groups today warned that just as Japan did not learn the lessons of nuclear accidents at Three Mile Island and Chernobyl, U.S. regulators and the nuclear industry are failing to learn the lessons of Fukushima. “The report concluded that regulation in Japan was not rigorous. Sadly that applies to the United States as well,” said Dr. Arjun Makhijani, president of the Maryland-based Institute for Energy and Environmental Research. The disaster started March 11, 2011 when the earthquake and tsunami knocked out power to the Fukushima Daiichi nuclear power plant on Japan’s Pacific coast, disabling the fuel cooling systems and their emergency backups. This resulted in a series of hydrogen explosions, nuclear fuel meltdowns, and the release of radiation into the air, on land and at sea. The accident is rated at Level 7, the highest on the UN’s International Nuclear Event Scale, and is considered the world’s second most serious nuclear disaster, after Chernobyl. Approximately 150,000 people were evacuated from a 30 kilometer (20 mile) radius around the Fukushima power plant in response to the accident. 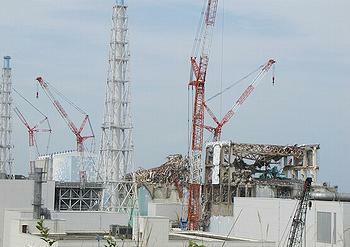 An estimated 167 workers were exposed to more than 100 millisieverts of radiation while dealing with the accident. As much as 1,800 square kilometers (695 square miles) of land in Fukushima Prefecture has now been contaminated by a cumulative radiation dose of five millisieverts or higher per year. The Fukushima Nuclear Accident Independent Investigation Commission was established by law in October 2011. The Commission’s 10 members were appointed in December by a joint committee of both Houses of the Diet. Dr. Stephen Smith, executive director of Southern Alliance for Clean Energy, called the Japanese commission’s report “extremely important” in the Southeast given the high percentage of existing and proposed nuclear reactors in the region. The U.S. nuclear industry organization, the Nuclear Energy Institute, defends the safety of its reactors, arguing that the U.S. industry and government regulators already are taking many actions to prevent a Fukushima-type accident. “Within one week of the Fukushima accident, operators at the 104 U.S. reactors were reviewing systems and components to ensure that the designed features and measures could mitigate the effects of a seismic event, flood or complete loss of AC power,” the NEI states in a White Paper issued earlier this month. “The U.S. nuclear industry has pooled resources to ensure the lessons from Japan are systematically gathered, analyzed and implemented. This process has already identified near-term enhancements that will add further to the margin of safety,” writes the NEI. 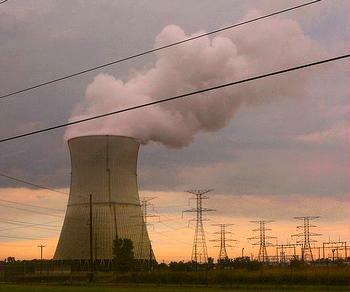 On March 12, the U.S. Nuclear Regulatory Commission issued three orders requiring safety enhancements by reactor operators, construction permit holders, and combined license holders that must begin immediately and be completed within two refueling outages or by December 31, 2016, whichever comes first. The NRC orders require strategies to respond to extreme natural events resulting in the loss of power, enhanced instrumentation in spent nuclear fuel pools, and reliable hardened containment vents. For handling the loss of all electrical power, or “station blackout,” as occurred at Fukushima Daiichi, the NRC has proposed a formal change to its regulations on March 20. The public comment period ended May 4, and the NRC is evaluating the comments it received and preparing to publish a proposed rule. 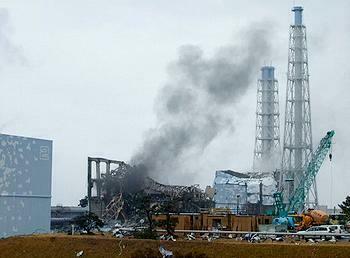 At the Fukushima Daiichi plant today, Tokyo Electric Power is working towards decommissioning the damaged facility. Crews are preparing to start test runs for removing highly radioactive nuclear fuel rods from the storage pool of the Unit 4 reactor after Japan’s nuclear regulator approved safety measures for the removal procedure. Concerns have been raised about the state of the ruined reactor building and the fuel pool, which contains 1,535 fuel rods, the highest number at the plant. The test involves removing just two rods from the pool. TEPCO declines to reveal the date of the test for security reasons but says removal of all the rods is scheduled to begin sometime next year.